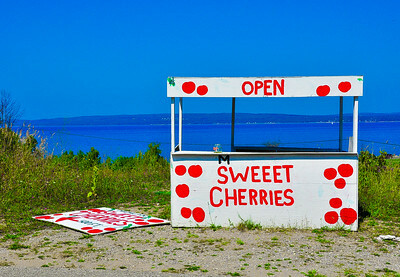 "Sweet Cherries," Petoskey, MI, 2013. 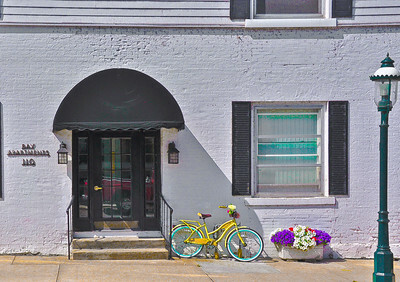 "Yellow Bicycle & Flowers," Petoskey, MI, 2013. 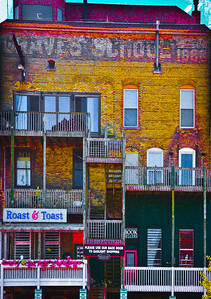 "Graves School Building," Petoskey, MI, 2013. 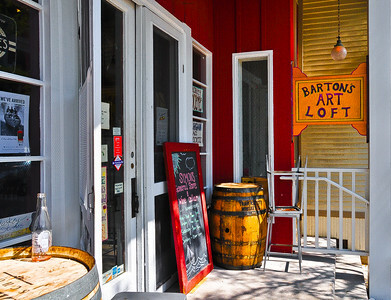 "General Store & Art," Petoskey, MI, 2013. "Sunset Over The Bay," Bay Harbor, MI, 2013. 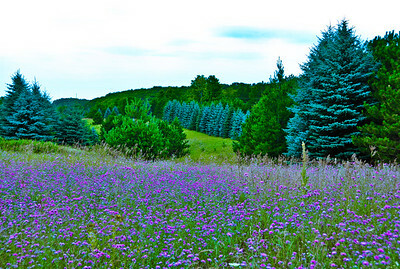 "Purple Flowers," Brooks Hill, Charlevoix, MI, 2011. 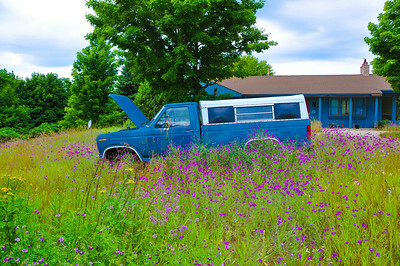 "Leroy's Truck," Brooks Hill, Charlevoix, MI, 2011. 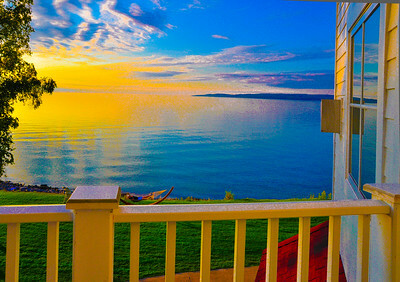 "Memories," Brooks Hill, Charlevoix, MI, 2011. 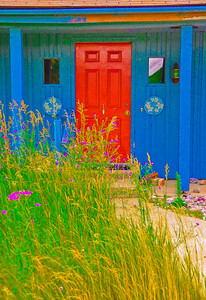 "Red Door Blue House," Brooks Hill, Charlevoix, MI, 2011. 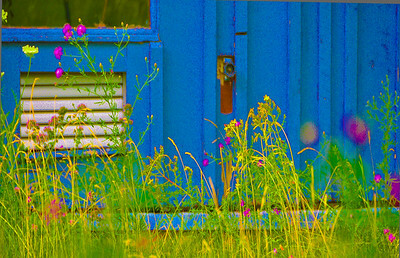 "Water Spigot," Brooks Hill, Charlevoix, MI, 2011. 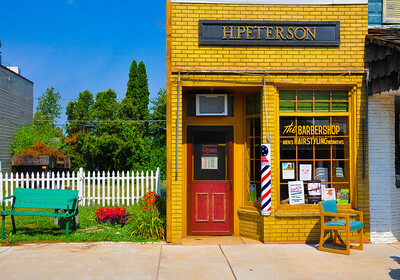 "The Barbershop," Beulah, MI, 2012. 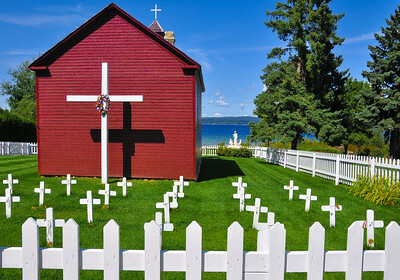 "White Picket Crosses," Petoskey, MI, 2012. 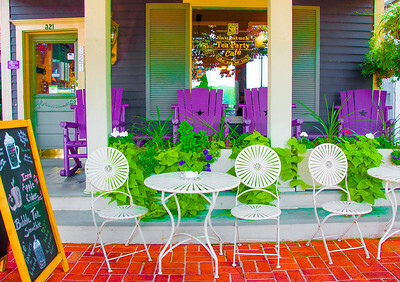 "Tea Party Café," Saugatuck, MI, 2014. 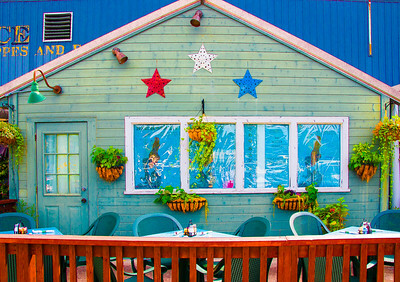 "Mermaid Bar," Saugatuck, MI, 2014. 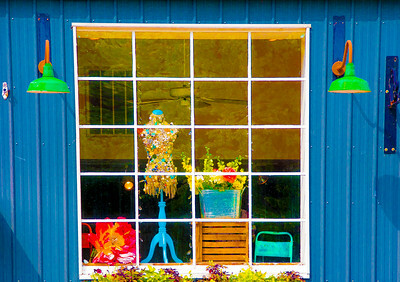 "Window Still Life," Saugatuck, MI, 2014.